Trampolining ~ Learn, Live, and Explore! In the current issue of the Washingtonian magazine, they highlight 61 Hidden Gems of D.C., one of which was Rebounderz Trampoline Gym in Sterling, Virginia. This arena just opened in July 2011 and has become a hit for kids and adults alike. My friends and I, searching for something fun and different to do on a Sunday afternoon, decided to give it a try. If you haven't bounced on a trampoline in awhile, be prepared to sweat! It was quite the workout! And I was very glad we opted for the 30 minute package (for $10) instead of the hour jump time choice. The setup is an array of maybe 28 individual trampolines and some vertical, angled trampolines on the sides you can use as well. As long as there is not another person on a neighboring trampoline, you can bounce from one to the next, or just stick to one and attempt some tricks. I think the fanciest trick I was able to sort of pull off was a cheerleading toe touch jump. 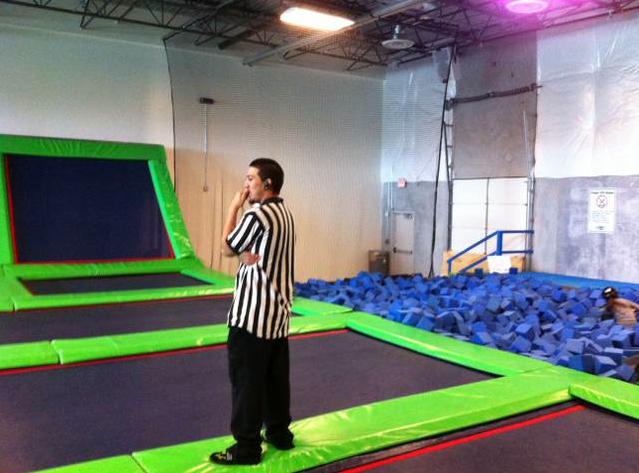 There is also a foam pit at the end you can use to practice your flipping techniques as well. All in all, not a bad way to get in your cardio for the day. And now I can add one more item to the list of new experiences I've tried!! Next time I need to bring the good camera to get better action shots! 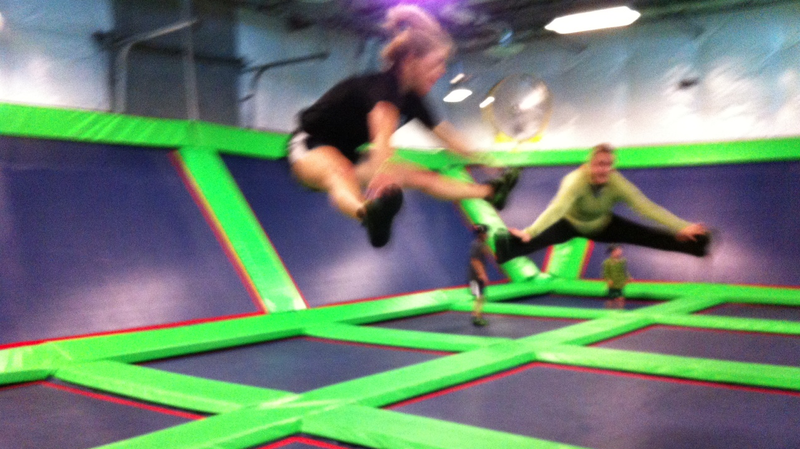 Next time let me know - I want to join you in a bouncing good time!